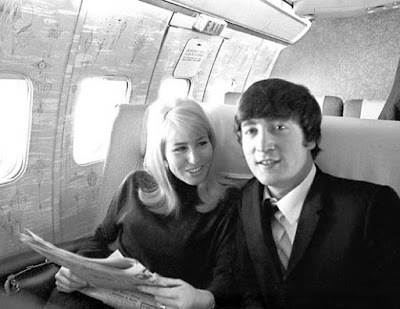 Surprisingly, John Lennon's first wife offers up a lot of interesting nuggets (it seems like they must have all been noted by now) about The Beatle's early life. For Beatles' lovers, this is definitely worth a quick read, and here are five nuggets to whet your appetite. 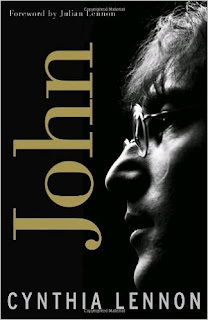 When John was murdered in December 1980, Cynthia Lennon, his first wife, was running a little bistro with a friend (the ex-wife of Paul McCartney's brother James) in North Wales. This was more than a decade after their divorce, the breakup of the Beatles, and the beginning of John's relationship with Yoko Ono. When she heard the news, she was visiting Mo Starkey, Ringo Starr's first wife who had a brief fling with George Harrison after their divorce. Ringo called and told her. Cynthia's son, Julian Lennon, lost his dad at the age of 17, the same age both John and Cyn each lost a parent. John died on December 9 (December 8 by U.S. time), which was eerie because of all the significant dates in his life that had to do with the number, not to mention his songs "One After 909," "Revolution 9," and "#9 Dream." Yoko was happy to have Julian fly immediately to New York, where John was shot, but was blunt in telling Cynthia to stay away. Some of the early chapters are a little unexciting, as they detail the bad guy John falling in love with the nice girl Cynthia at art school. But it picks up when she meets Paul McCartney, George Harrison, and Stuart Sutcliffe, whose place John and Cynthia would borrow for their sexual encounters. She got along particularly well with Paul and Stuart, and one day after Stuart and Cynthia had innocently danced, John hauled off and hit her hard. She determined she would leave him then but clearly didn't. At age 5, John's aunt Mimi took him away from living with his mother Julia because Julia was living married with someone else and Mimi thought it was unfit for John. When Stuart Sutcliffe died of a brain hemmorage at the age of 22 in 1962, John always acted like he did when someone close to him died. He laughed uncontrollably. Then he would not talk about it for weeks or months and keep his emotions bottled up inside. How does actual sharing fit into the sharing economy? I recently moderated a panel on insurance for transportation options like Uber and shared vehicles at the Shared Mobility Summit in Chicago. I also wrote a couple of articles, including the one below and this one on Uber and sharing in middle-sized and small cities. Both originally appeared at Mobility Lab. It’s safe to say that, in 2016, the sharing economy has gone mainstream. What’s funny about this is that what most people are referring to when we talk about this segment of the economy has little to do with sharing. I was thinking about this while I rode my hotel’s “shared bicycle” ($22 for four hours) around Chicago prior to the start of this week’s Shared Mobility Summit (of which Mobility Lab is a media sponsor). The driving forces for the sharing economy, when it comes to transportation, should be efficiency, reliability, traffic mitigation, and the appeal of non-driving options. But Uber and Airbnb, arguably the two biggest names in the sharing economy, are at their core peer-to-peer businesses. Sure, Uber helps people who don’t live near transit have a better option than taking their own vehicles, and Airbnb can be more convenient and less expensive than staying in a hotel. But in the end, drivers and hosts are providing a service that costs their customers money. This is not the essence of sharing as most people think of it. Uber and Airbnb are technologies that, with the spread of internet access, have allowed average, non-corporate people to make money from their resources. But there really isn’t any bartering going on, and it’s not “sharing our stuff” in the sense of enjoying portions of our things with each other. Most importantly, we don’t want to miss the unprecedented opportunity for people to use limited resources more efficiently. It’s not UberX, but UberPool, that should be the focus – actual shared rides. It’s not car companies trying to put more vehicles on the road. It’s Turo, formerly Relay Rides, that lets people rent out their already existing and sitting-most-of-the-time vehicles. It’s Sameride, which is focusing on building critical mass for its carpooling route. Another major study, conducted by Pew, found that only 15 percent of Americans have used a ride-hailing app, and only 3 percent say they use them on a daily or weekly basis. It makes me wonder how old-school models like hotels, taxis, and transit are going to survive once a lot more people start realizing they have all these other options. Do they even need to survive? Have we simply been doing it all wrong all these years? Perhaps part of the problem in reaching people might actually be technology. There are so many apps that do so many different things; maybe it’s no wonder that people default to the car over transit or the hotel over someone’s guest room. A new study from Xerox found that half of all respondents believe they will have one app for all their transportation needs by 2020. This sounds like wish fulfillment by people who want all these little players to go away or merge or something. Maybe one app for carpooling, one app for car-sharing, and one app for ride-hailing is the model that would get more people into the sharing economy. Finally, where does government fit into all of this? Promoting and incentivizing sharing that has a larger societal benefit seems like a good start. Since the market is so competitive, most start-ups aren’t sharing their data, another thing regulation could encourage. More open data could help planners, programmers, and others make the broader transportation network run more reliably. Perhaps federal and state governments could usher in some incentives to get these services to open up and cooperate as part of a larger transportation system. If services are going to channel the nature of sharing, it should be to play a role in improving accessibility and equity too. If most of the businesses and services being defaulted into the “sharing economy” category truly don’t fall into a more traditional definition of sharing, then perhaps it’s not too late to call the sector something else altogether. The Associated Press has already gotten the memo, last year instructing writers to refer to “ride-sharing” as “ride-hailing” instead. But if these options truly begin to relieve traffic congestion, increase affordability and accessibility, and improve many of society’s other ills created by our current transportation situation, then we can truly begin to feel all warm-and-fuzzy inside the sharing economy. Photo: A ride via Uber (Andrew Brackin, Flickr, Creative commons). This article was originally published by Mobility Lab and parts of it were republished by Streetsblog as well. Pittsburgh’s time to shine has come. The city has been thrust into the national spotlight, viewed by many transportation leaders as one of the nation’s promising blueprints for how cities can finally do transportation well. But while visiting Pittsburgh last week, I had the chance to put Pittsburgh in context with what people outside of town think. Mayor Bill Peduto is a real mover-and-shaker, something any city that wants to retrofit its car culture must have. Pittsburgh made it into the final seven for the U.S. Department of Transportation’s Smart City Challenge (which was awarded to Columbus, Ohio). 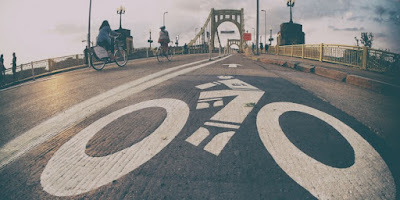 Mayor Peduto is hiring for a director of the just-announced city Department of Mobility and Infrastructure, which will think more holistically about the ways Pittsburgh uses its streets and public spaces. Pittsburgh has become a testing ground for Uber’s autonomous vehicles. It’s unclear so far how much the citizenry actually embraces this, but you have to hand it to Peduto and city leaders for trying something – anything – that’s an improvement over our current car culture. That car culture is certainly alive and kicking in Pittsburgh. Anecdotally, at least compared to the rapidly improving Washington, D.C., region, there seems to be considerable amounts of honking, unsafe maneuvers in crowded areas, and a general animosity towards people on foot and bicycles. I loved the 28X bus that takes visitors straight from the airport to downtown. But apparently not many other people love it, which is a shame. It only runs every 30 minutes and the buses I rode had passengers, but they were not so full that anyone had to stand. More frequent buses and some sustained marketing could help make it more popular, because once you arrive in downtown or Oakland, it can be really beneficial not to have a car. Healthy Ride launched as Pittsburgh’s bikeshare system just over a year ago and has been successful enough to see pretty phenomenal expansion, from 12 stations to 50 and growing still. As a tourist, I enjoyed the system and was able to quickly register and take $2, 30-minute rides throughout my stay. The challenge for Pittsburgh is its hilly topography. The city could install inexpensive wayfinding signage for the hills, similar to San Francisco’s The Wiggle, which directs riders to the easiest route around several hills. I have a lot of hope that these challenges will be met. Pittsburgh is a hotbed of talented minds thinking about the city’s transportation issues. 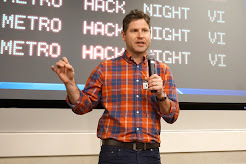 In my time there, I was lucky enough to represent Mobility Lab and Arlington, Va., in presenting to two groups about how to identify and influence the decision-makers who can get things accomplished, and initiating little things, like pilot projects, that can add up to successfully changing resident’s perceptions. Then, I spoke at the 4th Annual Oakland Transportation Fair to transportation experts from throughout southwestern Pennsylvania. The fair, at the University of Pittsburgh, had exhibits featuring fascinating tools and products, free rides in an autonomous vehicle, and was organized by the Oakland Transportation Management Association, which is itself directed by one of the city’s transportation leaders, Mavis Rainey. Forbes Avenue doesn’t seem to be as dangerous through the Carnegie Mellon campus as it is around the University of Pittsburgh. But it’s encouraging that CMU’s chief campus architect Bob Reppe told me all about the plans for that stretch of roadway. PennDOT is renovating it as acomplete street, with features that recognize the existence of pedestrians and cyclists. Where once there was an underused parking lot, there will soon be a much more attractive welcoming space to the campus, and parking will be placed underground and out of sight. It won’t happen overnight, but for rebuilding a city that’s better for everyone – drivers included – there is a formidable braintrust in place to keep Pittsburgh heading in the right direction. Photo: A bike lane on Clemente Bridge, installed in 2015 (David Kent, Flickr, Creative Commons).